FAWM 2019 Is Just Around The Corner – Are You In? Now, before you answer the question just think about it… Can you write a song every 2 days in the month of February? Bear in mind though, these songs don’t have to be full blown productions. They can just be lyrics only, instrumentals, rough demos or anything that you can do to create something from nothing. From my own experiences with the challenge, the main gist of FAWM is to stimulate creativity and inspiration not by waiting for it but through working towards it. 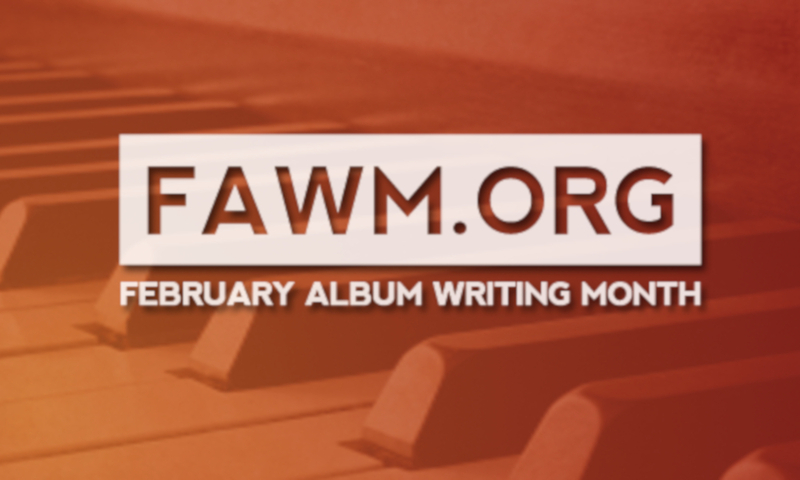 I’ve participated in FAWM for a number of years and I’ve successfully completed the songwriting challenge in the last two but even though I have my own “Song A Week” challenge going on at the moment, I’m still going to be involved with this years FAWM. “Why create more work for yourself?” I hear you ask. Well, it’s the global FAWM community that keeps me coming back for more. It’s a very supporting, encouraging and diverse (both by genre and nationality) community of songwriters, lyricists, musicians and producers that just want to write more songs and help other do the same. With that being said, I’m going to use FAWM this year as a way of expanding my list of songwriters that I collaborate with. I wouldn’t be surprised if my FAWM song-list will be made up of collaborations only. Doing it this way will enable me to keep my focus on the “Song A Week” challenge much more effectively. You should… It will change the way that you approach your songwriting process. Hell, it will spin your creative life around, turn it upside down and permanently change it for the better. It did with me and I haven’t looked back since. If you’re wanting to find out more about FAWM and what it can do for you then go to the FAWM website and check out their FAQ section. If you want to skip all of that and throw caution to the wind then just join the FAWM community. If you want to ask me any questions about FAWM before you take the leap then comment below or feel free to contact me. I’d love to hear from you. Now that I’ve finished this post, I’m off to check out the FAWM site myself.